Masterarbeit aus dem Jahr 2011 im Fachbereich BWL - Bank, Börse, Versicherung, Hochschule Fulda, Sprache: Deutsch, Abstract: The following categorized introduction attempts to give an intelligible overview of the present Master Thesis. 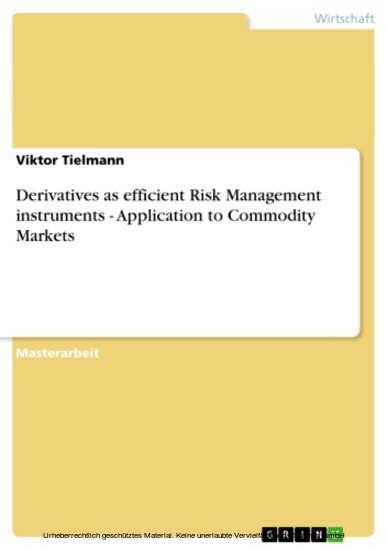 At first the purpose of this study will be explained, including the illustration of the importance of a commodity risk management for companies as well as the rising importance of commodity markets. Additionally the stakeholders and objectives will be presented, followed by a comprehensive structure of this Thesis.